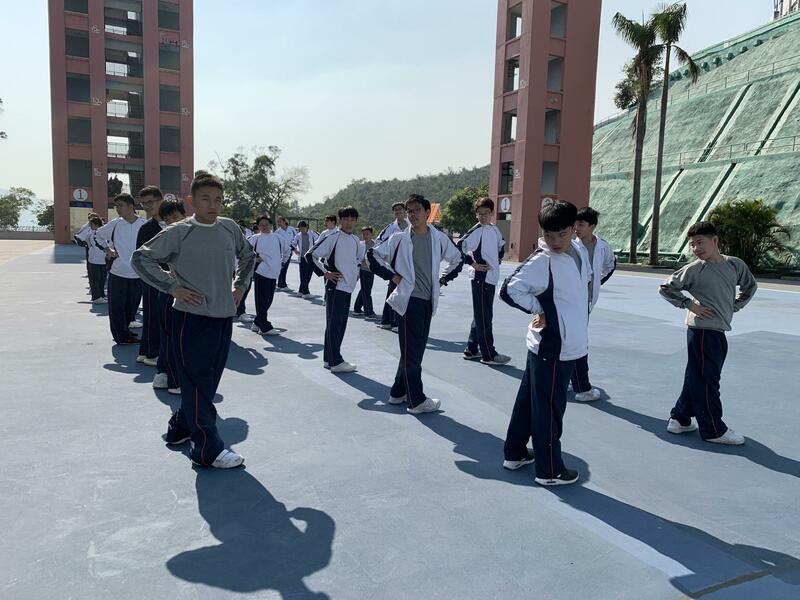 S1 students and class teachers participated in a Discipline Training Day Camp at JPC @ Pat Heung after the first term examination. 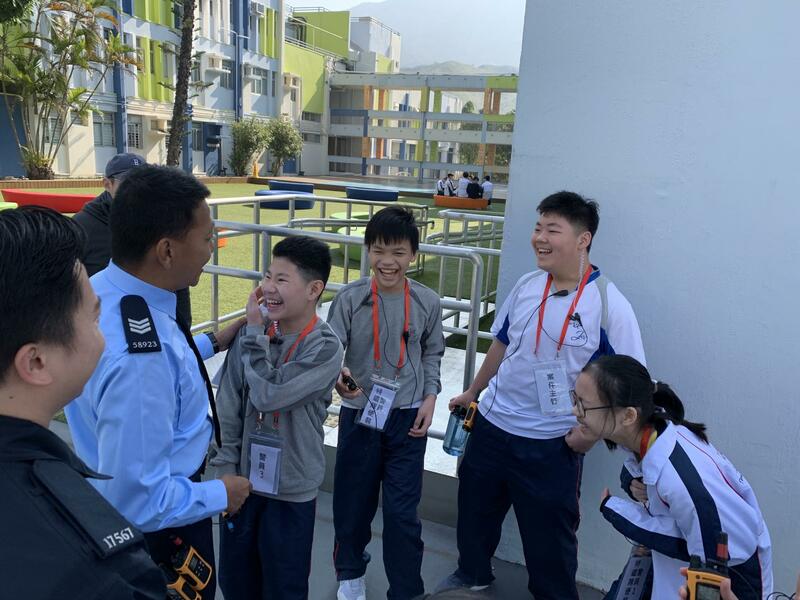 Students attended a job simulation workshop to have a better understanding about the works of police force. Also, they played some adventure-based games which could help train their teamwork. 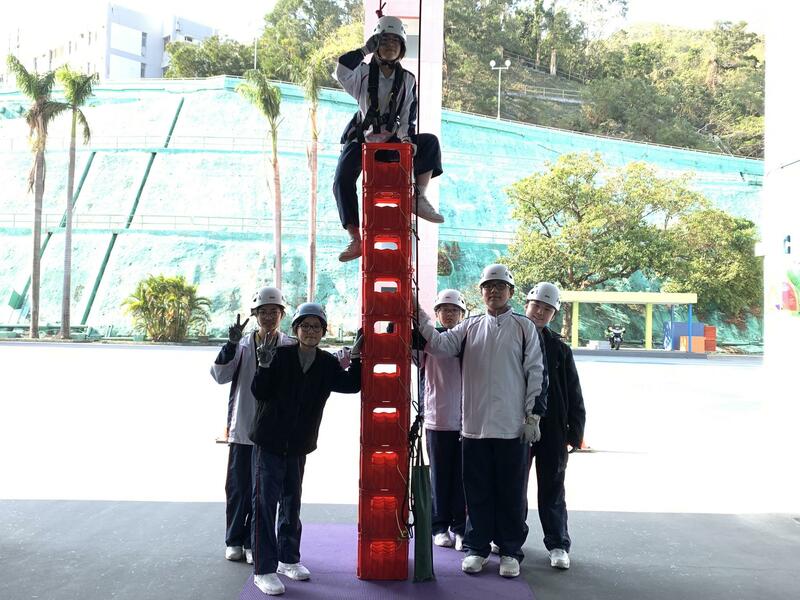 Lastly, they had a valuable chance to try crate climbing, students climbed on top of crates to balance and got further from the ground with the help of their teammates. Students had an exciting and rewarding day.